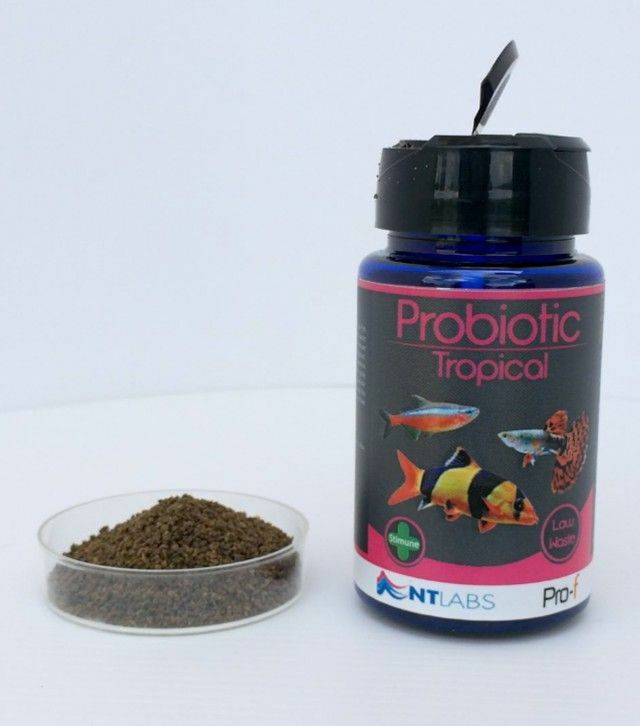 Probiotic Tropical is a complete feed for freshwater tropical fish. It contains probiotic bacteria ensuring your fish digest and absorb more of the nutrients, resulting in less waste and improved water quality. Stimune supports a fish’s immune system keeping them healthy and primed to fight off disease. Packed with natural colour enhancing and highly nutritious spirulina to emphasise the colours of your fish. 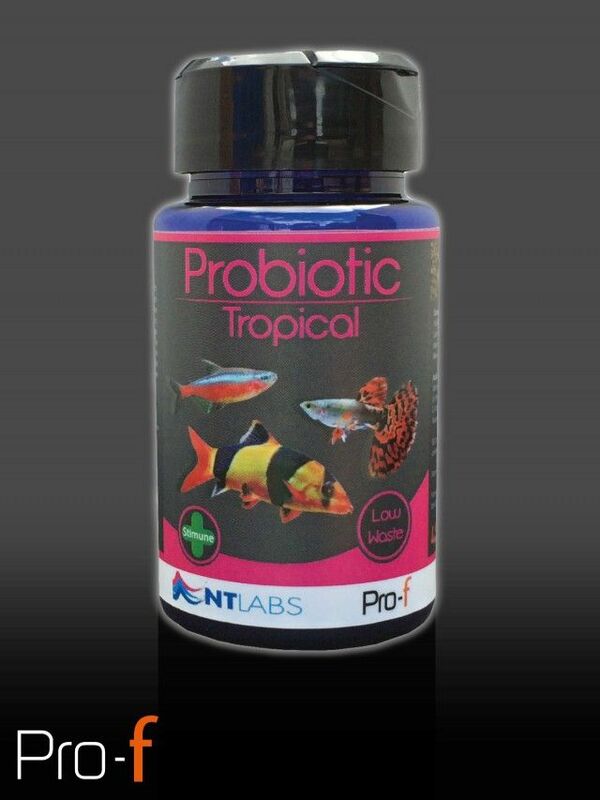 With easily digested krill and squid meal, Probiotic Tropical is highly palatable to a wide variety of species. Probiotic Tropical granules break the surface of the water at different rates allowing fish to feed at their preferred position in the water column. Fish Meal, Wheat, Soya, Spirulina, Lucerne Protein, Wheat Gluten, Maize Gluten, Squid Meal, Poultry Meal, Fish Oil, Krill Meal, Yeast derived products (Stimune). Protein 42%, Fat Content 8.5%, Inorganic Matter 9.9%, Crude Fibre 1.5%.